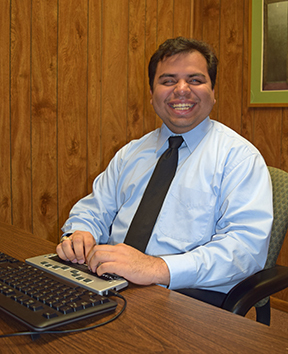 From the Editor: Normally it falls to the editor to write about our mid-year convention of the National Federation of the Blind, AKA the Washington Seminar. This year I had a volunteer, and I really appreciate her work and her most valuable contribution. Utah is known for its snow; the mountains surrounding Salt Lake City are usually covered in the powdery white stuff by January. At this time people begin flocking to the state for some of the best skiing, snowboarding, and snowshoeing in the world. As the snow begins to pile atop the Utahan Mountains, I know it’s time to gear up for the National Federation of the Blind’s annual Washington Seminar. The NFB Washington Seminar is where a few hundred of the most ambitious and feisty blind people in the country gather on Capitol Hill to make things happen. This year, however, would be like no other in the organization’s history: days before the annual meeting, the news started shifting its attention to Jonas (not Kevin, Joe or Nick, the Jonas Brothers), but winter storm Jonas, which was headed directly for the Washington DC/Baltimore area. Meteorologists were predicting one of the largest snowstorms in the history of our nation’s capital was going to hit the week of the NFB Washington Seminar. Many of us hoped that the news was wrong—that Jonas wasn’t going to be all he was cracked up to be. As the time came to pack and fly, most of us realized Jonas was not all talk. The storm dumped not inches, but feet of snow on the Washington DC/Baltimore area, and quickly. Flights across the country were delayed, then cancelled, then delayed and cancelled again. Airports were shut down on Friday and Saturday, and all city transportation suspended. Many of our fellow Federationists were finding it difficult if not impossible to make their way to DC. The word impossible, however, doesn’t really resonate with Federationists, so many fought to get there and do the work that had to be done. 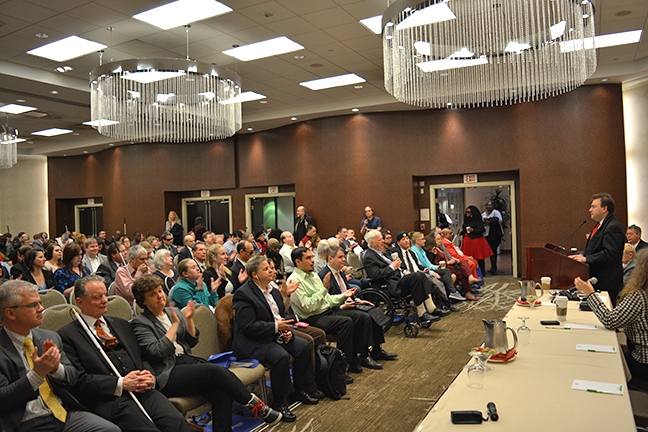 Prior to Washington Seminar, a legislative workshop is held for representatives from each state affiliate to learn more about the legislative agenda of the National Federation of the Blind. This year, the workshop was scheduled for January 23, 24, and 25. Due to the impending storm, President Riccobono suggested inviting workshop participants to arrive early in order to beat the blizzard. This strategy proved effective, as more than twenty of our directors made it to the Jernigan Institute before travel became treacherous. For those who did arrive early, the workshop was filled with energy and enthusiasm. President Riccobono welcomed participants at a special meeting at 4:00 p.m. on Friday. Since the group arrived twenty-four hours early, members decided to begin the workshop on Saturday morning rather than waiting until the originally scheduled start time of 6:00 p.m. Joining us on that Saturday morning were not only our fearless travelers, but legislative directors forced to remain at home until they could fly into DC. They joined us thanks to the hastily-arranged conference call put together by our team. For those present the blizzard conditions did nothing to curtail the service and consumption of meals, cookies, and coffee during the weekend. Nothing could match the energy of the logistics team, which masterfully managed the logistics with precision, grace, and unflagging goodwill. We lost electric power during the afternoon session on Saturday, but Federationists continued working as if nothing was out of the ordinary. The Harbor Room fireplace had been stocked in case heat was needed, but thankfully the power was restored before dinner. On Monday morning the chartered bus arrived to transport Federationists to Washington, DC, but it could not get closer than a quarter of a mile to the Jernigan Institute. Thus, Federationists walked through the snow to reach the bus. Four adults and one child from Hawaii received the admiration of the entire assembly, since their “winter clothes” were not designed for walking through piles of shoveled snow that were four feet high in some places. As we so often remind our friends and even our opponents, we are a Federation family. 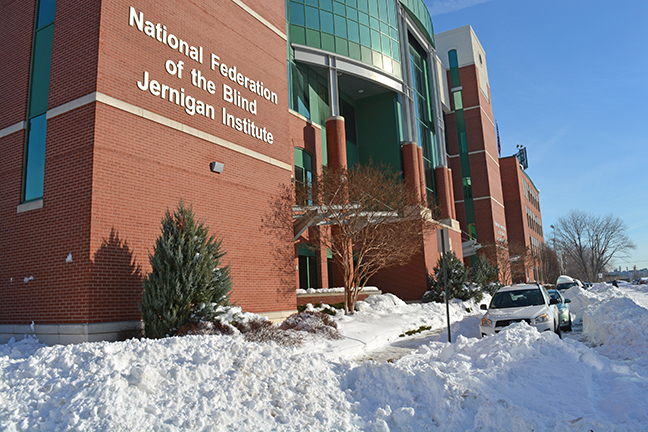 Attitudes remained positive throughout the weekend, and while two dozen Federationists were literally snowed-in at the Jernigan Institute, the 2016 legislative priorities were thoroughly discussed, and everyone had a blast. After the government announced they would be closed on Monday, with several appointments cancelled for the remainder of the week, discouragement could have set in, but it didn’t. Some members of the Federation, myself included, took advantage of the rare opportunity to go sledding down Capitol Hill. After climbing through mini-mountains of snow on street corners and finally getting to the Capitol, I found an awesome teenage girl who let me borrow her plastic sled to take a quick trip down the Hill. With a big grin on my face, I began climbing the very icy and slick Hill. I barely avoided falling a few times in the process, but I finally made it to the top. I asked a nice guy up there to line me up so I would not run over any children on my way down. Once aligned, he gave me a pretty big push, and I was on my way. Halfway down I spun-out, came to a stop, and pushed myself the rest of the way down. It was a great, empowering moment for me—a reminder that I can live the life I want, even if it requires borrowing a sled or two along the way. But now it was time to get to work. Prior to the Great Gathering-In meeting, the student division took care of business. Despite the weather, nothing could stop the National Association of Blind Students (NABS) from getting together and having a good time. Nearly fifty students made it to DC for the NABS annual Washington Seminar meeting, twenty-five of whom were sponsored by the NFB and would not have been able to attend without the organization’s financial support. The annual student meeting included information on the new Self-Advocacy in High Education Toolkit Version 1.0, which serves as a support to blind college students in an effort to prevent or mitigate accessibility barriers on campus. You can find more information about the toolkit at <https://nfb.org/self-advocacy-higher-education>. The meeting also included a speech from President Mark Riccobono, who encouraged students to step up and take on more leadership roles. Student Division President Sean Whalen also spoke to those in attendance about happenings at the national level and the KNFB Reader App. The student meeting included several breakout sessions covering a variety of topics including employment, internships, self-advocacy, vocational rehabilitation services, and more. On Tuesday evening the student division hosted the NABS Café, an annual social event for students and supporters, which included an auction, raffle, and live entertainment. Despite the weather, the attendance matched that of previous Washington Seminar student meetings. Fred Schroeder followed by announcing that the United States will be hosting the World Blind Union this summer in Orlando, Florida, and encouraged Federationists to attend. President Riccobono also announced that this year’s NFB National Convention will be held in Orlando, Florida, Thursday, June 30 through Tuesday, July 5, at the Rosen Shingle Creek Resort and that pre-registration will open on March 1. Immediate past president Dr. Marc Maurer addressed the Great Gathering-In by discussing important legal issues facing the blind and how the National Federation of the Blind is working on these, including subminimum wage issues, Amazon accessibility, and parental rights. Executive Director of Advocacy and Policy, John Paré, welcomed all who fought the storm to make it to Washington and announced the use of a new App for NFB Washington Seminar, “NFB in DC,” designed to set up and track appointments. Next, Parnell Diggs, director of government affairs, addressed the crowd regarding logistics of the week and welcomed all to DC. He encouraged attendees to check with individual senators and representatives to be sure appointments were still on as scheduled. Rose also discussed the second issue, Equal Access to Air Travel for Service-Disabled Veterans (H.R. 2264). The Space Available Program allows members of the active military, some family members, Red Cross employees, and retired armed services members to travel on military aircraft if space is available. However, members of the military who were classified as 100 percent service disabled before September 23, 1996, do not qualify for this program because they are not considered “retired.” Rose declared that both the TIME Act and the Space Available proposal are in need of co-sponsors. Gabe also talked about the Marrakesh Treaty to Facilitate Access to Published Works for Persons Who Are Blind, Visually Impaired, or Otherwise Print Disabled. The Marrakesh Treaty is an international copyright treaty that will give blind Americans access to millions of published works and improve the distribution of books across the globe. Unlike the United States, where copyright code includes the Chafee Amendment and other exceptions, two-thirds of the world’s nations do not have domestic copyright laws that permit making copies for the blind, limiting the number of works available in an accessible format. Gabe concluded by encouraging all of us to get moving to push through all four of our important issues. President Riccobono concluded the meeting with a few last minute announcements, encouraging participants to share their experiences on social media, noting the demonstration of a new Braille display being debuted at the seminar, and telling us that Anil Lewis had eaten all the peanut butter pie that was available. On Tuesday, Wednesday, and Thursday the nation’s blind took over Capitol Hill. In fact, we were pretty much the only ones brave enough to go to the Congress that week. Many affiliates met with Congress and House staffers, and a few got to meet face-to-face with their representatives and senators. Despite the weather, lots of progress was made on some of the big issues, and Federationist fought hard to share the concerns our elected officials can address that truly effect the blind. As a dancer I have grown to love the quotation by Vivian Greene, “Life isn't about waiting for the storm to pass...It's about learning to dance in the rain.” It was a lot more than rain in Washington, DC, for this Washington Seminar, but record-breaking snow accumulation covering our nation’s capital couldn’t stop members of the National Federation of the Blind from dancing. Many of my family and friends asked me why I was going to Washington, DC, when the weather was so bad and Congress wouldn’t even be in session; some went so far as to say I was being ridiculous for going. My response: “What we’re going to Washington for will outlast the storm. The issues we are fighting for will be there long after the snow melts. The blind of our country have been told far too many times that we can’t, that we won’t, that we shouldn’t, but we are not ready to back down…no matter the barriers. Snowzilla can’t stop us!” And, you know, it didn’t.